Most of us do what we can to prolong their lifespan, but there is a lot of danger for them out there in the world. 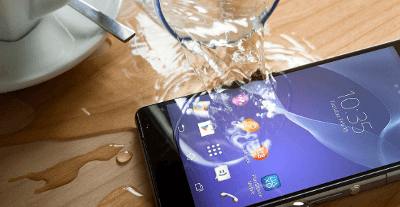 Anything from water splashes and dust to pocket lint can shorten your device’s life and turn them into a useless brick. You need to do everything you can to protect your investment. So what can you do to protect them? 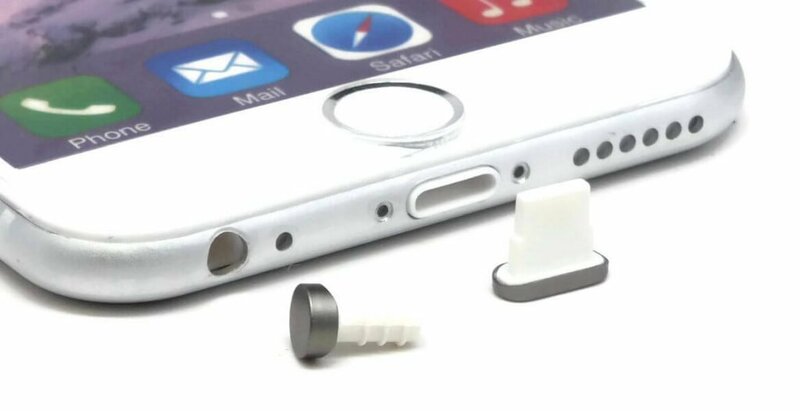 Dust plugs act like barriers between your device’s sensitive ports and the outside world. They are small protector plugs made to fit them like a glove and not let anything in, be it dust, water, or sand. Port Plugs can be used anytime, anywhere. They are excellent for people who work in construction or at the beach, where devices often meet their premature death at the hand of sand and debris. Those who live active lifestyles are exposing their ports to harsh environments and extreme conditions on a daily basis. For the rest of us, your phone is still going everywhere with you. High levels of dust, sweat, liquid splashes, dirt, grime, sand, lint, and other debris are going to find their way into your ports. Even when you leave your phone behind, or stow it away, your ports are still at risk. That being said, we do try, some more than others. The cases we use can be quite expensive. Sometimes you can find one that claims it protect your ports with a simple flap, which is not so reliable. Others may have some crazy assembly, turning your device into a hulking megaphone, but also costing you a large chunk of change. Either way, both result in a device that often looks very little like the sleek, beautiful piece of technology that you fell in love with. Which Is The Right Type For You? 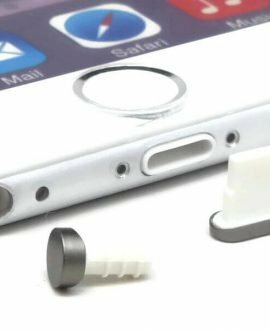 We have taken our time to develop a line of flexible, form-fitting, versatile, high quality anti-dust plugs and port covers to fit most any device, as well as the needs of its owner. It comes down to what you want out of your device. There is a strong focus on value and convenience. You can see this in products like the UniPlug, which covers two ports simultaneously, while still allowing access to the charging port. If you are looking for the multi-tool of smartphone accessories, then our 4-in1 Dust Plug Stylus will bring the most to the table. 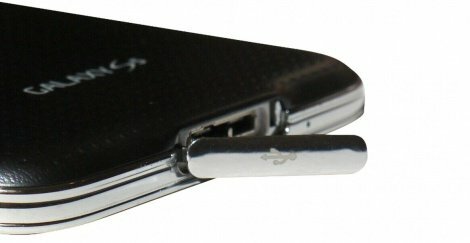 It is a dust plug, stylus, ballpoint pen, and phone stand- rolled together into a tool that anyone could use. The list of useful plugs carries on to fit anyone’s needs with the crystal clear dust plug phone case, laptop plug sets, lightning plugs that work with cases, and more. Just check to see which one fits your needs. The materials are safe and the designs are subtle. There is a plug for most any device, providing true versatility and dependability. The value of a dust plug is unbeatable, especially for the cost. We are constantly coming up with ways to create new, innovative designs that provide multiple functions and features to fit any lifestyle. This is why anti-dust plugs and port covers are so important. They are smooth and discreet, blending in with your phone and casing. They are affordable, offered in sets, or as individual pieces. They are practical, and work simply by providing a solid barrier between the outside environment and your sensitive ports. 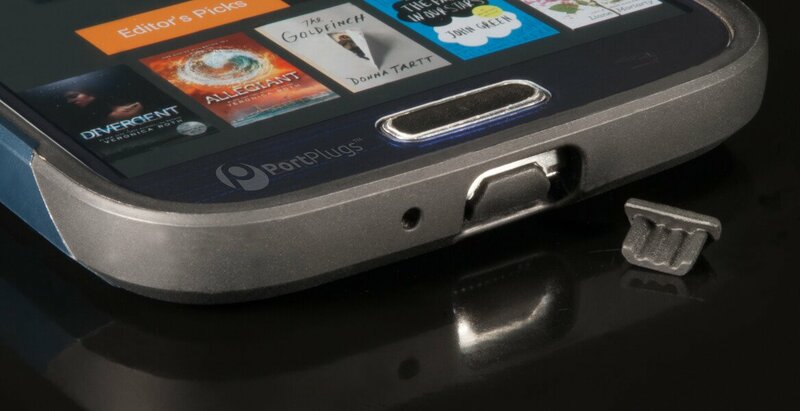 They prevent damage to your 3.5 mm headphone jack port, allowing your music to playback problem free. They protect data ports, Android charging ports, Apple lightning ports, micro USB ports, and more from damaging debris. 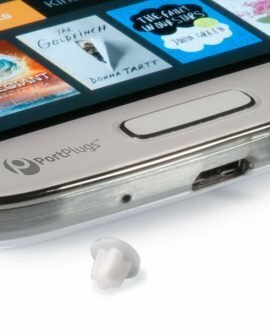 Dust plugs do this and more, so you can stay connected, and your device can be right there with you. This is why dust plugs are an essential everyday tool and accessory.